I was very fortunate to have met Phillippa Cheifitz in 2011 and was really excited when her book was published and I received a copy to review. Following on from that, Phillippa has answered my interview questions. What started you on the path of cooking? Which three ingredients could you not live without? Which of your kitchen tools would you take with you anywhere and everywhere? Do you have any pet peeves in the kitchen? Which meal is your all time favourite? Which restaurant could you visit over and over again? If you could only have one recipe book, which one would it be? If you could work alongside one chef for a day who would that be? Which ingredient will you not eat or cook with? What is on top of your bucket list? A week in France cooking with Patricia Wells. What is your food philosophy? Keep it simple, keep it seasonal, make it delicious. Any parting words for the readers? Disclosure: This interview with Phillippa Cheifitz was facilitated by Jean Fryer from Penguin Random House South Africa. This post is in line with my blogging policy. I am on leave until the 11th of January. I will reply to comments on my posts when I can during the holidays. May 2016 hold all your dreams. I think grandmothers seem to inspire a love of cooking, my own grandmother was my influence too. 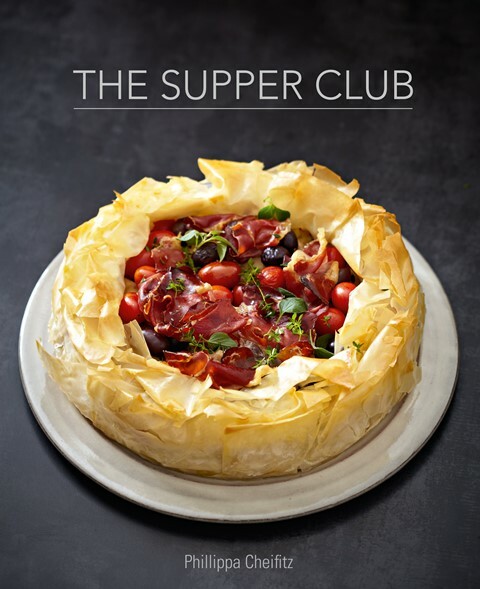 I love the look of the cover recipe! YUM! Great interview, now I want to eat at Chez Panisse! You are so lucky you can! Hi Tandy, great interview, her book looks wonderful! It has some great treasures in it!